Enjoying some morning Qi Gong in East Preston. It was a beautiful morning today in East Preston, the second of our four week Saturday morning course. 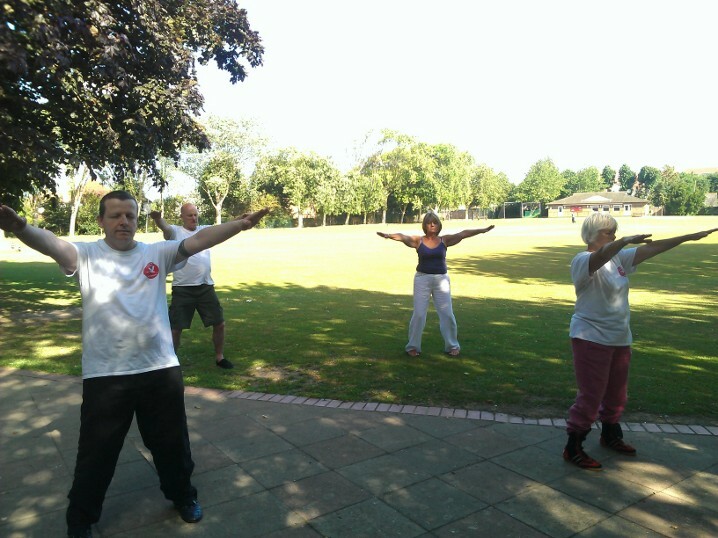 We started with some mobility, then carried on working on the Qi Gong form that we had started last week, finishing off with some synchronised Tai Chi. There is something very special about practicing meditation, Chi Kung and Tai Chi outside in the early morning, it feels like the ideal time to be training and possibly the time when you benefit the most. Looking forward to next week already! After the course in East Preston has finished, Sat am Tai Chi classes will be starting in Haywards Heath. Next Next post: Let Tai Chi Improve Your Life!